Nurses are extremely important people. They assist doctors in whatever medical procedure required and they perform tasks that make the hospital operations run smoother. If it’s not in a hospital, then they’re working at places like schools or nursing homes where they take care of those in need. 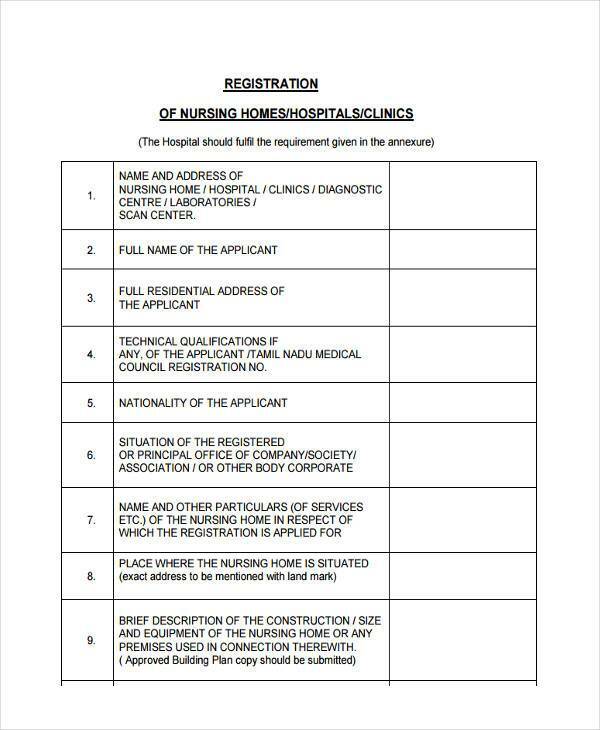 However, before people actually start becoming nurses, they’ll need to properly register in the right government facilities. 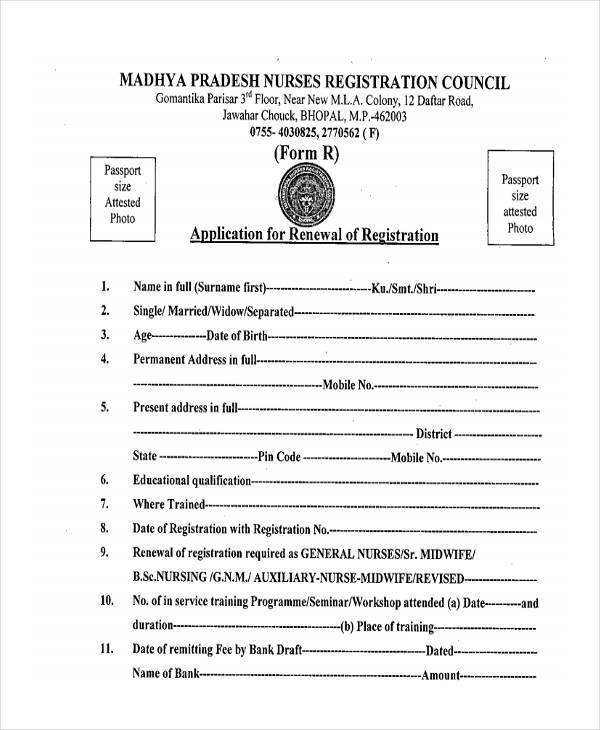 The best way for them is to fill out Nurse Registration Forms that give them their shot at practicing their nursing profession. 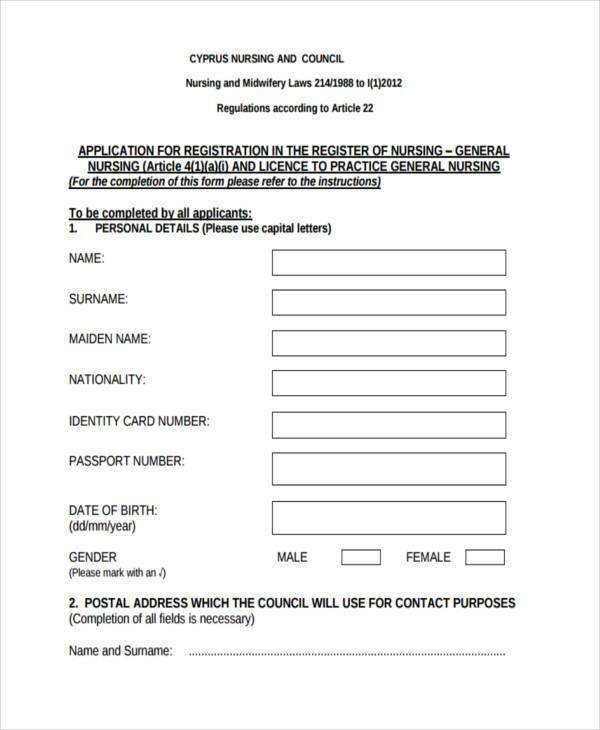 Nursing Summer Camp Registration Forms are for those nurses who want to register at a summer camp so that they’ll be able to take care of the children who might sustain any form of injury or medical ailments. 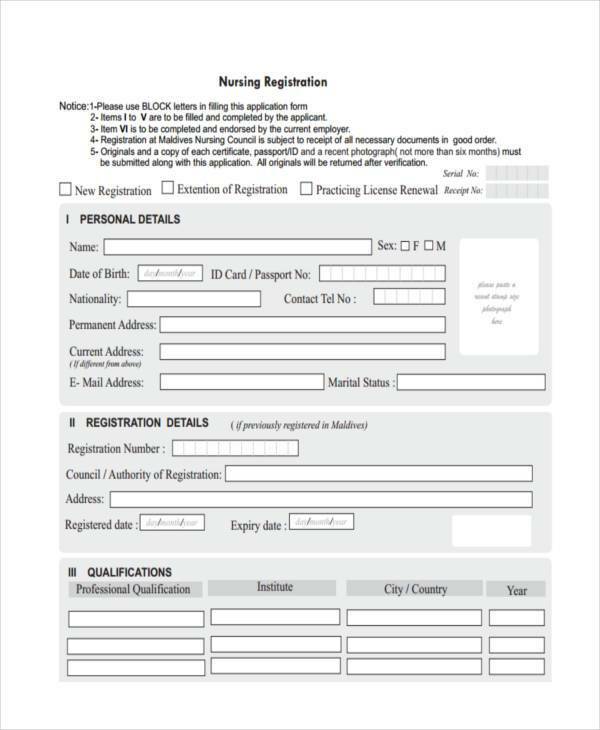 College Nursing Registration Forms are used by those people who want to apply for a nursing course in any college that offers such. 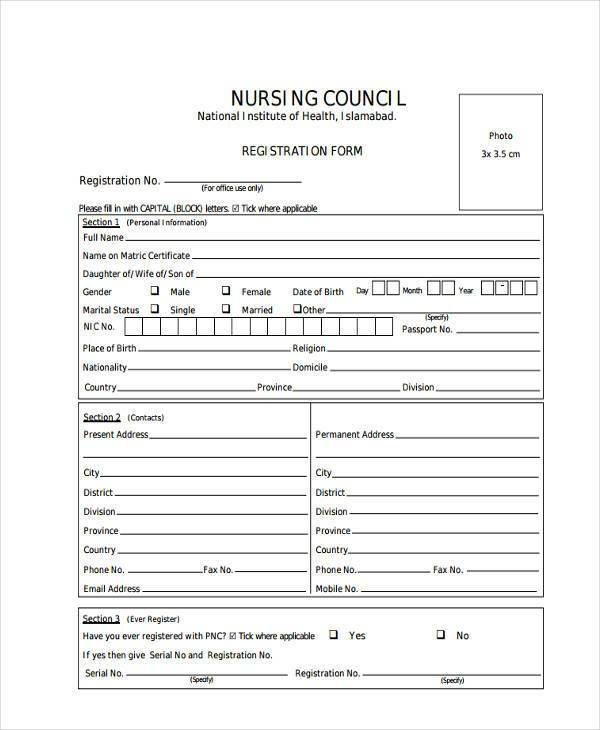 Nursing Assistant Registration Forms are the kinds of forms utilized by those people who wish to register as a nurse’s assistant so that they’ll be able to have hands-on experience on the types of duties a nurse performs. 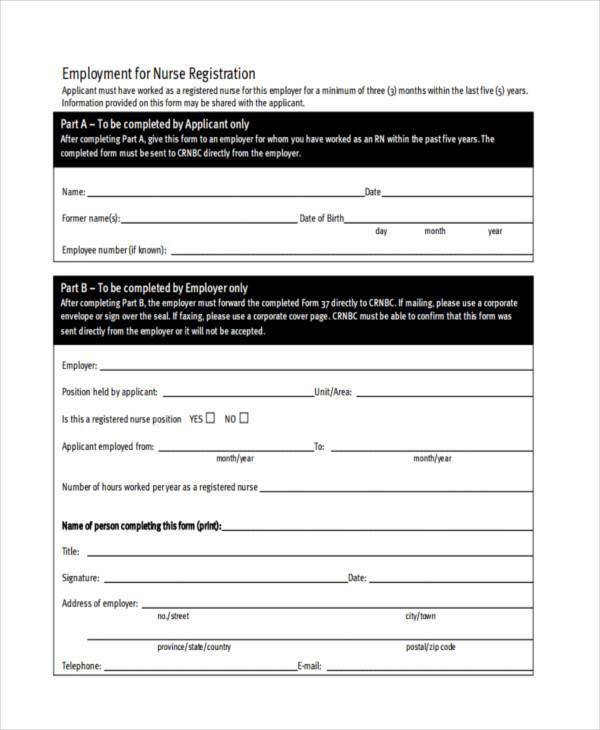 Nursing Registration Renewal Forms are used by those who wish to renew their nursing license so that they’ll be able to continue to take care of the sick, injured, disabled, and more. 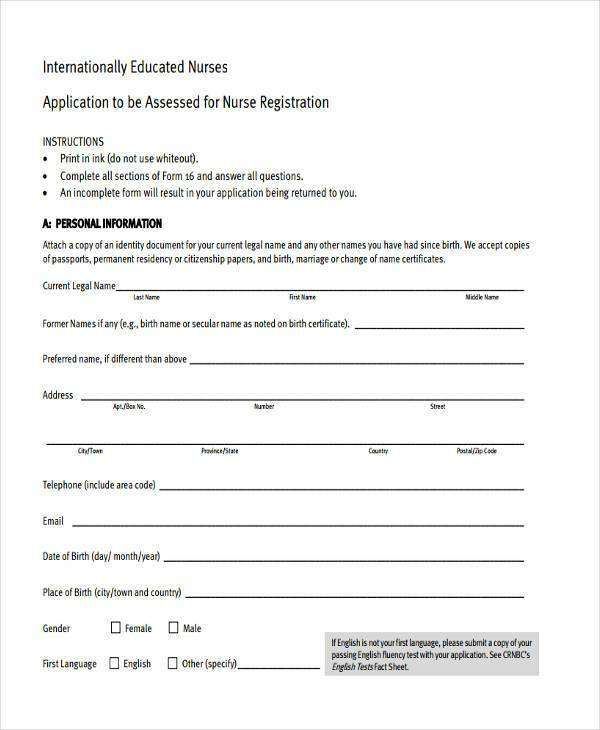 These forms are really important for those that wish to practice the art of nursing. 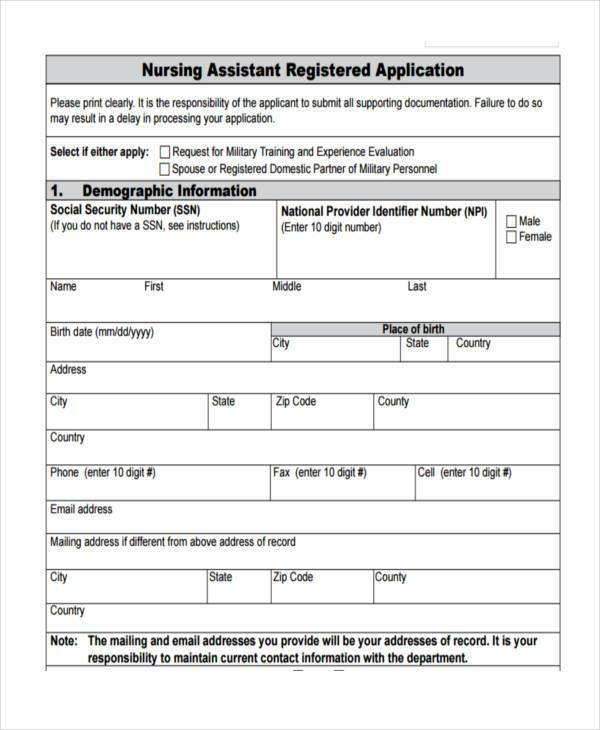 These forms help them experience what it’s like to work as someone who actively takes care of the sick or any person who needs their care. 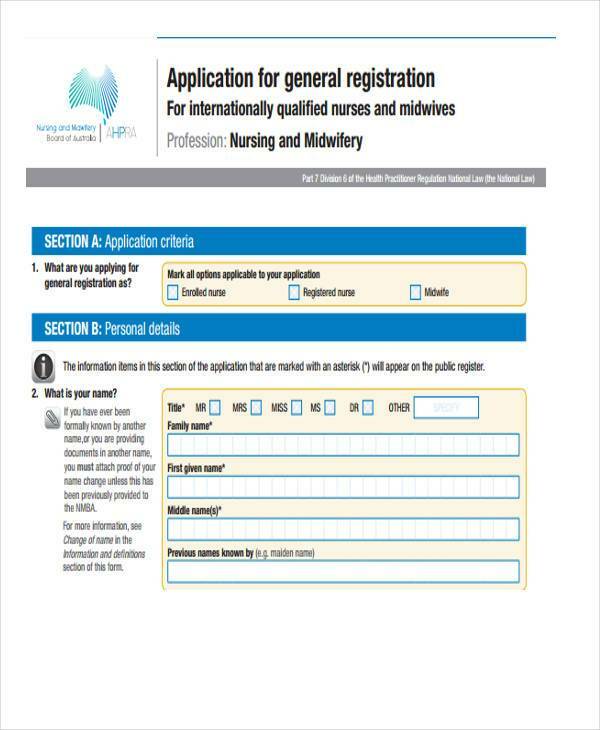 These also help hospitals figure out which nurses to hire by checking out their qualifications and determining if they’re right for the job. 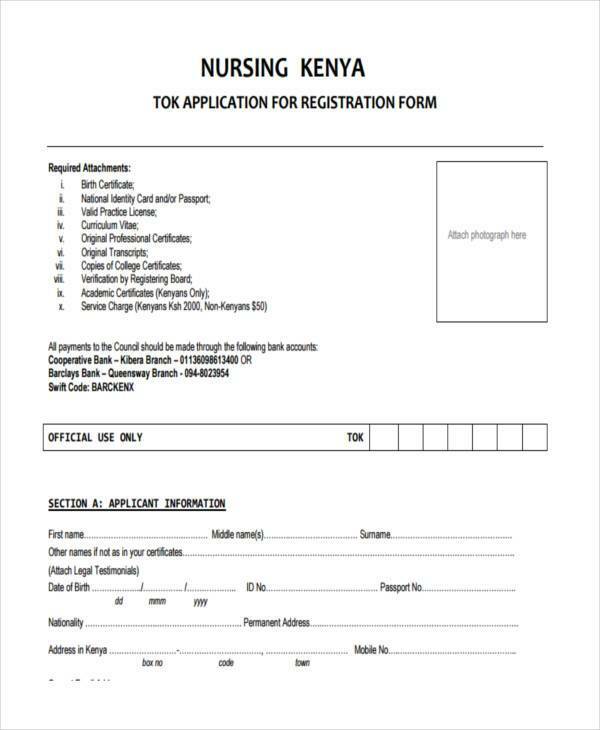 Nurses are in charge of taking care of specific information such as those that are included Patient Registration Forms. 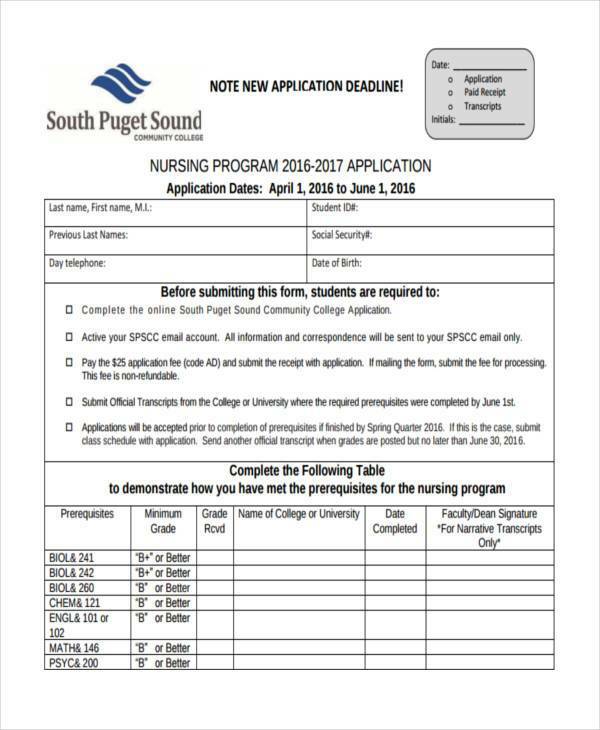 They handle a lot of responsibilities and require a focused and determined mindset, so for those who can handle these, it’s best they apply for any nursing programs or nursing jobs that are available to them.